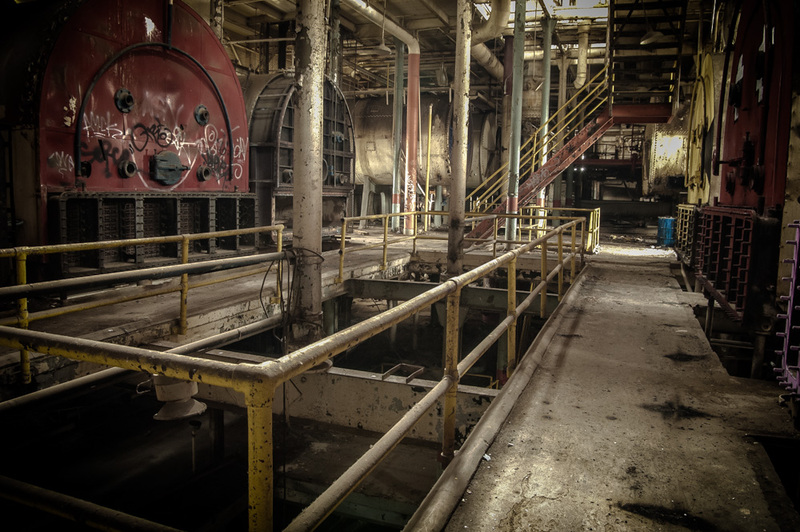 On the third floor of the sugar mill, rows of furnaces line the walk ways, some partially scraped but all showing the signs of years of neglect. I can only imagine how hot this building must have been when they were all operational. All this power was necessary to process 1,200 tons of beets a day, making the factory one of the largest of it’s kind in the world.